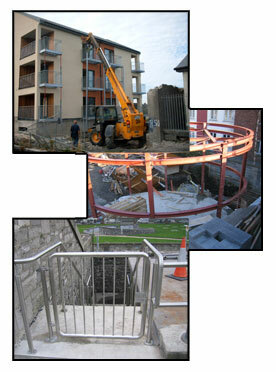 Based on our experience in the construction industry where we have worked on various project sites throughout Ireland. All can be manufactured from Stainless, Galvanised, Aluminium, Painted or powder coated Steel. Begining with on-site measurements, design, manfacture and installation. The client can be assured we will deliver exactly to your specifications and within your budget. © 2009 Athy Steel Products Ltd.